Get short, easy-to-read monthly reports about the business of Parliament on the subjects important to you or your business or industrial sector. ParlyReport deals only with major business institutions and provides the inside track on new and impending legislation. It gives insight into recent government policy as expressed by government policy makers and studies incoming submissions by business and industry. 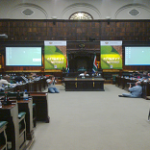 Designed for both South African and overseas markets, the Hof monitoring service attends most parliamentary meetings and media briefings. 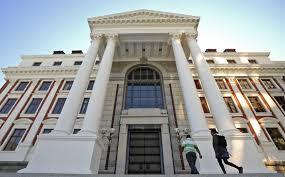 both in the National Assembly (NA) and the National Council of Provinces (NCOP). ParlyReport observes, summarizes in précis and focuses upon the economic and business essentials that apply to your business in general. The report you get goes a step further than just listing legislation. 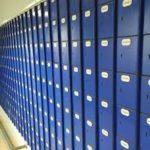 It takes a look at the implications of proposed changes and listens to government departmental presentations, translating these into concise and useful indications of changing policy. Go to the “contact us”page if you require more details. And read on for more background to Parliament itself. Please note that this website represents mainly information already passed on and is an archival reference service to existing clients. Why is monitoring of parliament so important? Important, firstly because Parliament at committee level, both in the “portfolio” committees in the NA and the “select” committees in the NCOP,conduct not only oversight of the work and on the budgets of national government departments but they are supposed to hold them accountable. This is the debate that affects you. This is your money. In the process one hears of government policy; failures and successes on targets; changes to government policy and when and if new legislation is to be introduced. All of this affects you, your business or what you are doing. You can be one-ahead of what is coming. Forewarned is forearmed. Secondly, because the committees are constantly amending legislation in the form of tabled Bills, initiating Bills and probing contentious issues, your business plan may have to change. The need to prepare for regulatory changes affecting compliance can be to a certain extent second guessed. The parliamentary working committees that are also monitored also examine specific areas of public life or matters of business interest. They deal with the national budget and all budget appropriation votes for each government department and state owned entities. This usually gives a financial snapshoton the state of the utilities, their plans and their policy forward. It is also important to know where they are failing. Every year the Auditor-General’s Office (AGSA) tables reports on the accounts and financial management of the various government departments and state owned institutions. With new powers, AGSA can call the heads of government departments and entities to report and account for expenditure and the entity now has consequential managemnt powers. Each parliamentary committee can recommend to both the National Assembly and instruct government to take corrective action if necessary. It is important that you are involved, which is your parliamentary right. Parliament also holds “hearings” and accepts “submissions”on new legislation, amendments to legislation or contributions on a particular subject of public interest, all parties and entities being able to submit their views either orally with a personalised submission in Parliament. Parliament uses the expression “Have Your Say” and we encourage this process. For further information, go to the Contact us page.